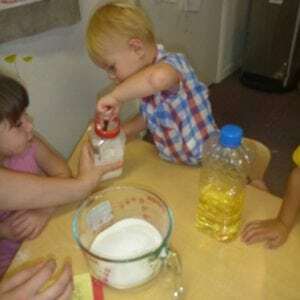 Learning good food practices is a big part of the early years. This can easily be a challenging aspect of caregivers work. There is often tension around healthy eating because of cultural norms around food and the health needs food meets. How do you manage your own habits as an adult? Do you use food as a reward, emotional comfort item, or a cultural ritual? Do you diet or over indulge frequently? What do you believe about food? Is there a food philosophy around carbs, fat, sugar, or protein that impacts your perception of foods? How do your family experience shape your view of food? What impact does society, history, or the media play in your perception of what health food is, how much one should eat, when one should eat? We encourage children to eat, we do not ever withhold food to manipulate or punish children. Some days, children will be hungier, and other days they will eat less. 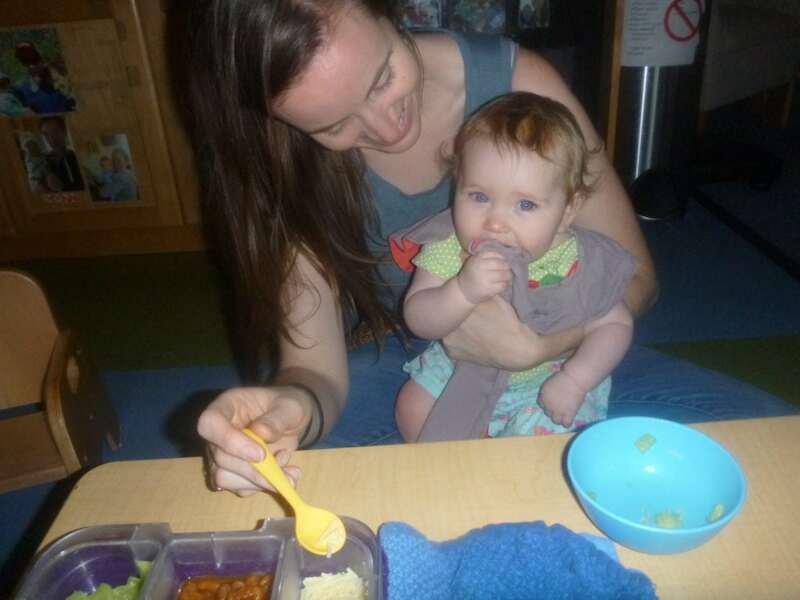 We want to support children to listen to their bodies while helping them to learn to eat during meals and play during play. We are setting up a children's relationship with food and with it to be a healthy one. It takes a long time to develop good food habits, so start early and be patient. Children, like adults, should eat real food, mostly plants, and not too much. We cannot and should not try to manipulate children with food. Our abundance of unhealthy foods is a part of living in our society and children will need to learn to manage it. Children create a lifelong healthy relationship with food. Children don't use food to manage emotional upset. Children are aware of factors influencing their food choices; sugar, marketing, emotional state, etc. Within your trust for children we must recognize their immature decision making and own our responsibilities for supporting healthy eating. Children need our guidance in two crucial ways; designing and environment for healthy eating thus creating a context for their learning and coaching children to learn about food, nutrition, and their body. Caregivers play a crucial role in meeting children's needs for nutrition. Research has shown, caregivers offer children healthy options during meal times children will overtime eat a balanced diet. 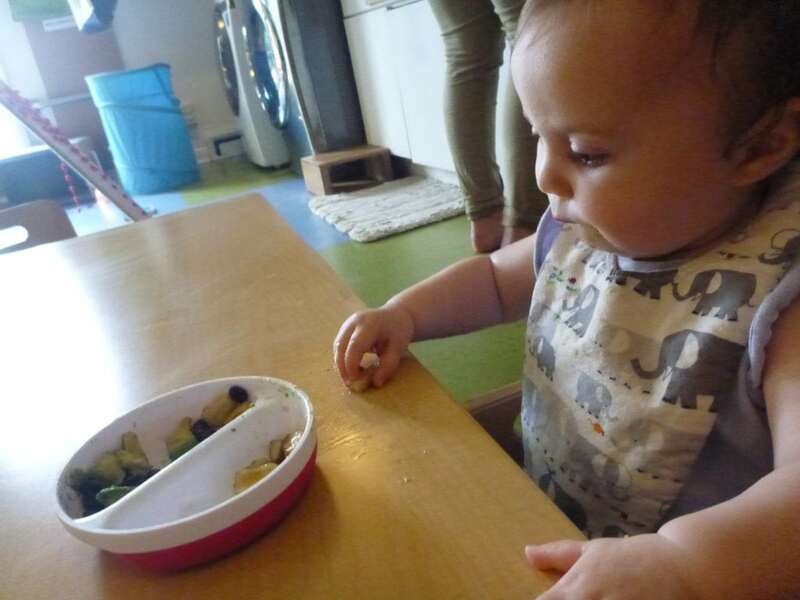 Though caregivers may see toddlers eat just one kind of food or a seemly unbalanced diet on an individual day when the researchers looked over a week and even toddlers will eat a balanced diet if offered healthy options. We recommend children have a choice from what was packed or served, and if they eat what they choose, they will have eaten well for the day. A healthy well-balanced lunch box creates a yes environment in which children do not have unnecessary rules of eat this (yogurt) before this (cookie). Trusting children’s choices with food is a big part of helping them learn healthy habits. There will be hungry days and less hungry days. Adults ultimately cannot force a child to eat so we must let go of how much and if children eat. Cajoling children to eat more of something or less of something else undermines their sense of trust and lead to many food battles. We can trust they will not starve themselves and even better when given the opportunity they will make healthy choices. Young children cannot manage time on their own, caregivers must set up appropriate meal times and play times to guide children to develop healthy eating habits. As an adult you have a picture of the whole day and your child’s basic needs you can plan for regular meals and snacks to meet children’s needs for nutrition. 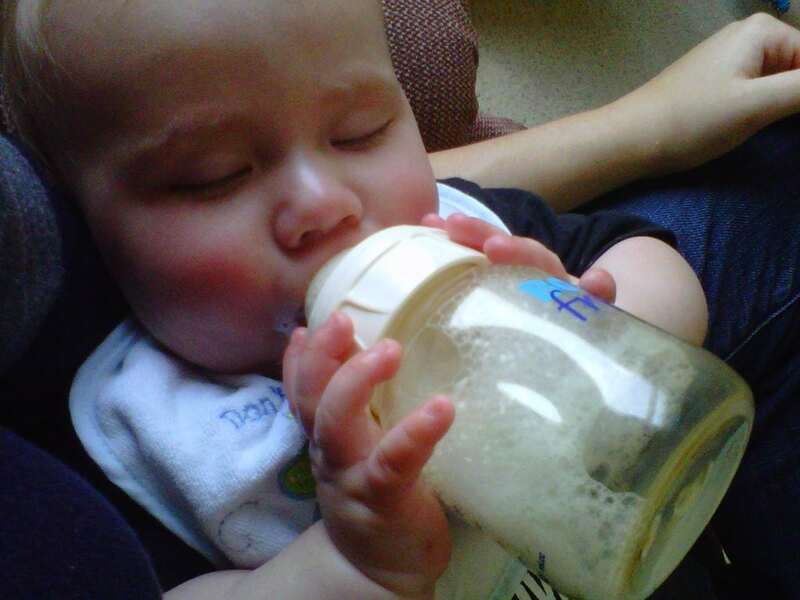 Caregivers establish guidelines around where food is consumed for the safety of children and the furniture. When children push against those guidelines caregivers can kindly but firmly explain to children that they can choose to eat in within the guidelines or to be finished eating and eat again at the next meal or snack time. Children need our high expectations and a lot of support, coaching, and reminders to meet that expectation. Caregivers are also responsible for deciding what food to offer to children this is not a decision that young children can make. We recommend offering children the food that the family eats; offering two to five choices of foods and generally trying to plan at least one thing the child has enjoyed eating before. Research tells us that young children need to be introduced to a food ten times before they will know if they like or dislike it. We recommend serving children very small portions so they are able to try things if they wish and ask for more if they would like. Picture a child’s stomach as about the size of their fist and plan for them to eat about that much food total so a few tablespoons of each choice is a good place to start. Caregivers will determine what food is offered and by presenting it in small portions we support children to own their autonomy to choose if they eat at how much, creating a yes environment. Consider as we introduce diverse and healthy foods to children how we prepare them to encourage children to eat them. A child’s pallet is developing so serving vegetables with cheese or dip can help children to begin exploring new foods. It will take time to develop an appreciation for diverse textures, tastes, and smells so it doesn’t hurt to ease children into different foods. For treats and sweets we recommend simply calling it “sometimes food”. We tell children it tastes good but doesn’t give our bodpy much fuel. We don’t recommend making dessert conditional upon eating all of their food or some specific food. Mealtime is a crucial time to build children’s knowledge around what healthy food is, the nutrients that are in food, how food helps our bodies, and the possible factors influencing food choices. The following is some examples of real words caregivers can use with children we hope this will provide a starting point for rich conversations. Why do you think you like pizza so much, is it the chewy texture or the taste of the cheese, sauce, and bread all together? Where did you get those cucumbers? Let’s look in your lunch box and make sure you are making a mindful choice about not eating snack. If after you look at your choices you still don’t want to eat you can skip it and wait until dinner. You’re disappointed that you don’t have a squeezy. Youhave soft noodles or crunch crackers, your choice. This spinach is bright green that tells you it has lots of nutrients inside to help your body grow strong and healthy. Check in with your belly is it feeling full or still hungry? There is so much to see it’s hard to focus on your bottle, I’m going to hold you so you can finish your bottle then your belly will be full for more play. It’s hard to stay sitting but that’s part of staying safe while eating, would you like me to rest my hand on your leg or hold your chair to remind you? There are occasionally special circumstances in which children have allergies, a tongue tie, or another medical reason for needing special support around healthy eating. Doctors can provide support and with your support, respect, and trust children will learn to meet their needs for nutrition.